Capitec: Will SA's winning bank go global? Cape Town - South African banks are very different from banks in many other countries, Lafferty group CEO Michael Lafferty told Fin24. One of the key factors setting them apart from for instance banks in Europe - where states have had to bail out banks - is that local banks in SA won't be turning to the government for help. This is Lafferty's interpretation of the Lafferty Group’s 2017 Global Bank Quality Benchmarking study, in which South Africa’s banks achieved the highest rankings for the second successive year. Capitec Bank is the only bank in the world to achieve five stars – beating other global leaders such as HSBC, Goldman Sachs and JPMorgan Chase and local contenders Standard Bank, Absa, Nedbank and FirstRand. The ratings in the benchmarking study provide an independent global measure of bank quality. "Quite simply, the study finds that South Africa’s major banks have the highest quality among 100 banks across 32 countries that we have rated," said Lafferty, who founded the Lafferty Group in 1981. He said this reflects well on the management teams running the SA banks. "They are truly world class." Like banks across the world, Lafferty said SA banks are becoming more and more focused on retail banking. "They are gradually switching the balance of their business towards the personal sector and away from corporate customers." In Lafferty's view, South Africa also has room for many more banks. "By US standards it could support as many as 1 000 retail banks," he reckoned. Petar Soldo, considered South Africa's leading expert on banking research, told Fin24 that South Africa’s banking system has consistently been rated one of the most advanced and well-functioning in the world. "It is always reassuring to hear good news relating to South Africa and its economy, especially in the current environment of rating downgrades, declining consumer and business confidence, increasing levels of unemployment and an economy that is in a technical recession." South Africa's five largest banks were recently downgraded in line with the country's sovereign credit rating downgrade. The downgrades emphasise the ongoing policy confusion and weak leadership in the country, said Banking Association of SA (BASA) at the time. Despite this move, BASA said SA’s banking system remains fundamentally solid and respected in the world. "We are well capitalised and a recent World Economic Forum Global Competitiveness Index found the SA banking system [to be] the second most sound in the world," said managing director Cas Coovadia. 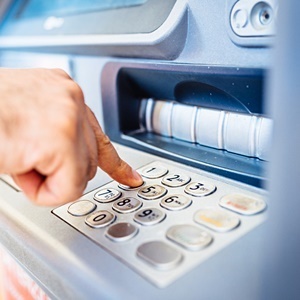 There is fierce competition among banks for customers and in turn customers are demanding in what they expect, independent analyst Mark Ingham, on behalf of EasyEquities, told Fin24. "The fact that South African banks as a whole rank highly is testament to quality of governance and oversight, a strong and transparent regulatory regime, maintenance of robust capital adequacy ratios, and the demands of operating in a developing country environment, meeting the challenges of that and the differing needs of customers." Ingham said banks and other companies in differing sectors are focusing on what is within their power and not getting deflected by external pressures. "Other companies in different industries in South Africa have also ranked well in international surveys, which shows that certain institutional structures in South Africa retain a culture of excellence even as there are manifest failings elsewhere in the system, including troublesome politics and government shortcomings."